MoistTech Debuts New Sensor for 2018! In March 2018, MoistTech Corp. added an additional at-line moisture detection system to their lineup: MoistTech Moisture Balance System. Attendees of the SNAXPO Conference in Atlanta GA March 12-14 had the pleasure of seeing the new system on display and performing live demonstrations. The MoistTech MB series is an affordable lab method for measuring moisture content that provides a fast and accurate result. 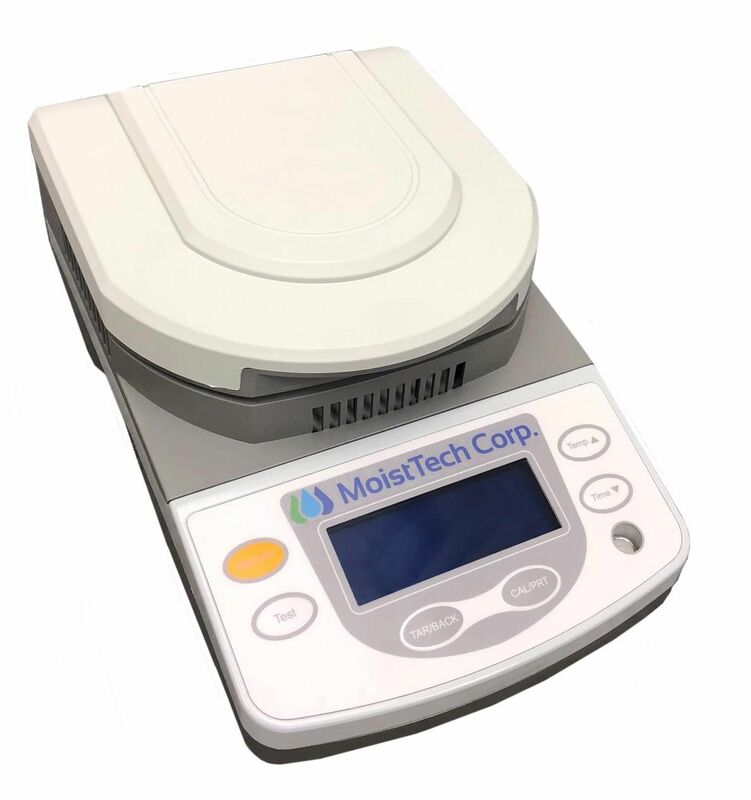 The MoistTech Moisture Balance System is a high quality, compact and simple to use laboratory moisture analyzer. Designed for a wide variety of applications for accurate and dependable results with a very simple to use design. Equipped with a high-resolution lattice LCD Back light and high precision thermal sensor with Halogen heating/drying and short test times. Simple touch button operation allows for ease of use. This sensor is equipped with automatic peeling function for immediate continuous measurement for accurate zero drift correction. Our halogen drying method moisture analyzer will test free water content of chemicals, raw materials, grains, minerals, solids, food products, powders, paper, textiles, wood and many more.